Even though this year will be a moment of change we decided to dust off one of our ‘old’ categories “The Talented”, and which would be a better month than September to review talent? 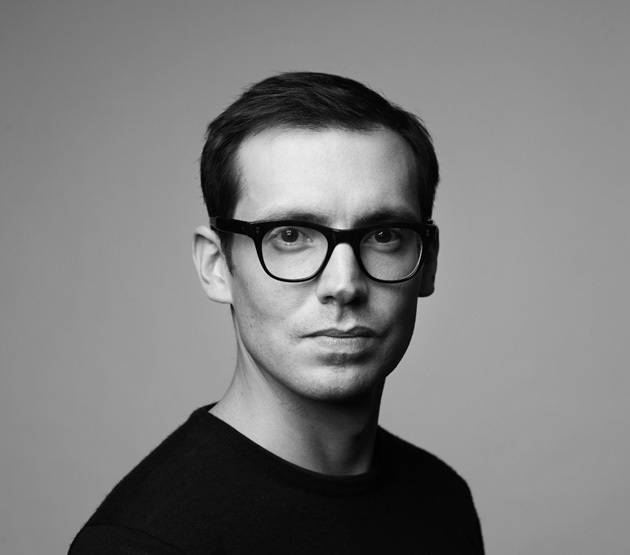 Just like another of our talents, Erdem Moralioglu was born in Montreal but residing currently in London, from where he runs his eponymous ready-to-wear brand, Erdem. In 2005, some time after having completed his training at the prestigious Royal College of Art and working alongside a couple of grand names in fashion, he went back to London to establish the brand that today has become synonymous with versatile, powerful femininity. The garments aren’t made for one woman, they are made for every woman that falls for the pieces – independent and strong with sensuality and femininity mixing in symbiosis. He goes for uncomfortable colour combinations, experimental textiles and vibrant prints, and with a beautifully executed work and craftsmanship he creates pieces that have been mentioned as ‘timeless’. 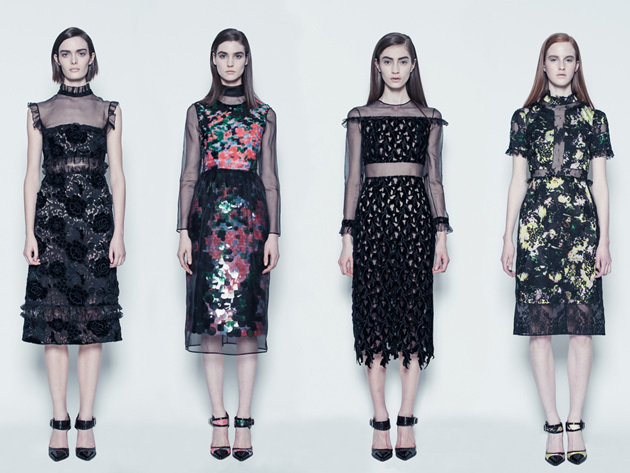 Erdem isn’t afraid of being “wrong”. On the other hand, he often talks about how nothing is as right as when it’s wrong. With inspiration from the world of art – theatre, film, books – and nature, he is creating his own world where delicate and bold walk hand in hand. 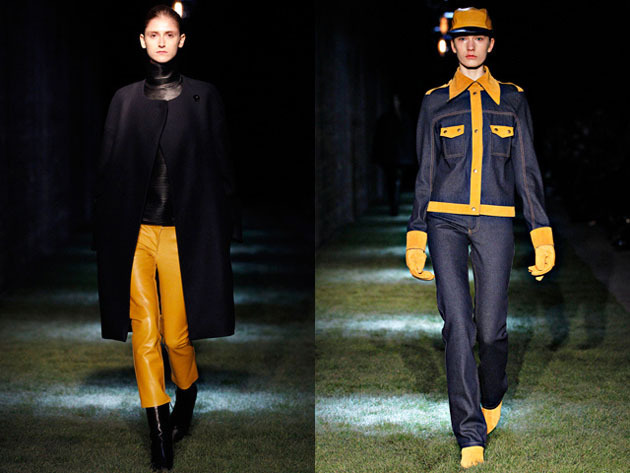 Having always worked with colours, he went black for Fall/Winter 2013-14, only letting the bright accompany the dark. Exploring the colour that for so many other designers is a given, Erdem put new light on his interpretation of the modern day woman. Influences that don’t make sense until they do, exquisite materials and the signature balance between right and wrong – with fashion week approaching, we’re in anticipation of seeing what comes up to the surface. Steffie Christiaens is someone who knew her business before setting up a studio in Paris. Prior to her first self-named prêt-à-porter collection, which was brought to the runway in March 2011, she attained her fashion design diplomas at Arnhem Academy in the Netherlands and IFM in Paris. She was chosen finalist in the prestigious Hyères Festival 2009 and she worked as collection assistant at Maison Martin Margiela as well as next to Nicolas Ghesquière at Balenciaga. Merging the probably immeasurable expertise gained while working at two highly renowned fashion houses with her knowledge in architecture, 3-D construction and fabric design, Christiaens is creating space for a new discussion in the land of fashion and art. 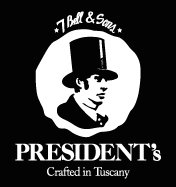 The experiments have their point of departure in the forceful elements of nature and science. Femininity is presented in complementary to bold cuts and structures where texture, movement and shape all come together, creating powerful and forward-looking images throughout the three collections that so far has left the studio. The Fall/Winter 2012/13 collection is without a doubt a dynamic woman, but there’s a sensitivity and sophistication to her appearance. There’s the dimension of the projected deficits and asymmetric irregularities, and there’s the dimension of the precious work on the fabrics which adds an overall strength to a single piece as well as to the collection as a whole, both gaining from the inspiration coming from the transforming states of water and structures of ice. Black leather, 3D looking jacquards, hefty felt and zippers are softened up with light silk materials and soft shapes created out of goat hair. A color scale that stretches from black and the darkest of charcoal to the lightest crystalline whites is livened up and made more interesting with two outfits in blood red, light shades of camel and skin and the whole spectrum of icy greys. Runway semblances can be seen through round necklines, high collars, slightly shortened trousers and heavy coats but it is not what makes the Steffie Christiaens brand worth talking about. It’s the dissimilarities in the sculpted shapes, cut outs and fine points like sliced up tights, resembling a fissure in a glacier or the hand-blown glass objects holding water and carried out as an accolade to the inspiration element. Every garment has the outlines for being a classic piece but thereafter the collection takes its own shape. Slim, nondescript trousers are matched with apron shaped miniskirts, the jackets are embellished with sculptural lines and every cut is emphasizing and shaping the female body. The line between accentuating and distorting is sometimes fine but Christiaens noticeable research and savoir-faire keeps her on the right side. In 2011, preceding all of her runways, Christiaens released Deliquesce, a short film signifying the aesthetics in motion while slowly unwrapping and revealing a couture creation. The abstract image presented might just have been the start off for the label, but it might just become the core, representing the magnetic beauty story behind a collection. You know his name. 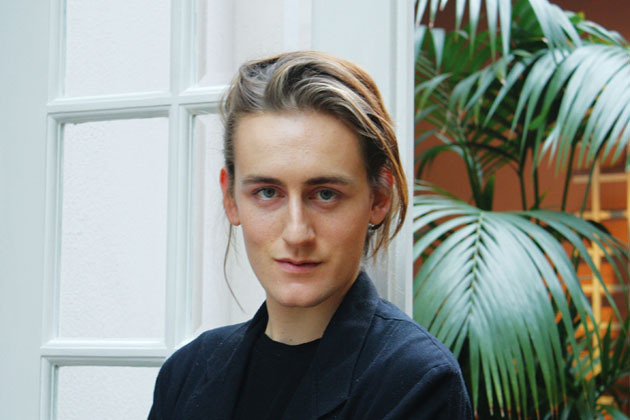 You know he’s the youngest graduate ever from the MA Fashion Design course at Central Saint Martins and you probably know that the Montréal-native Londoner Thomas Tait received the Dorchester Fashion Prize back in 2010. And you most definitely know that he’s one of the top must-see-designers showing during London Fashion Week. Tait wasn’t raised in the midst of fashion, nor did he find his calling precociously. But he was never content with the looks surrounding him, neither those on the streets nor those in the vintage shops in downtown Montreal. So he set to work. And once firmly on the fashion path, he earned a technical design diploma at La Salle College and then found his way onto the London scene. And it’s a scene he seems to have mastered since he was one of very few CSM graduates chosen to debut during London Fashion Week 2010. Being involved in every part of the creative process, from designing to pattern construction and sewing the pieces together, Thomas Tait has gone from sharp cuts and all black, to whites and pastels matched with trainers for spring, to a Fall 2012 collection presenting wardrobe classics in scenic moss greens, dark navy and mustard colored leather. But make no mistake: though the coats and jackets may have classical names, their shapes and cuts are as technically complex and worked over as ever. Curvilinear silhouettes and well defined shapes with low-cut or folded up high collars join to form a collection where the Tait’s aesthetics were well incorporated with aspects of wearability, an aspect that the designer at times have been criticized for when creating ‘too’ much of a structured figure. Only three collections in, he seems to be working his way towards something that can balance his initially angular nature of silhouettes (starting from a fascination with shoulder blades and pelvic bones) with something that will fit the female body beautifully at the end of the day. He is still young, and according to what he says, not yet ready to be categorized as a proponent of a certain aesthetic as far as the word “minimalist” is concerned. 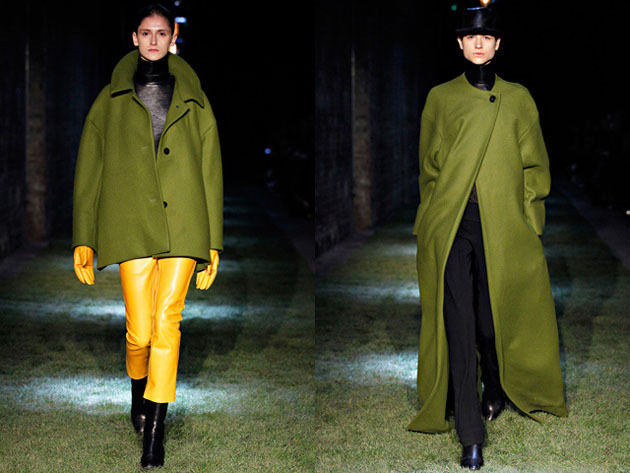 Clean collections with technical complexity behind them are reasonable to expect, but the Thomas Tait woman will surely continue to develop alongside his progress as a designer. 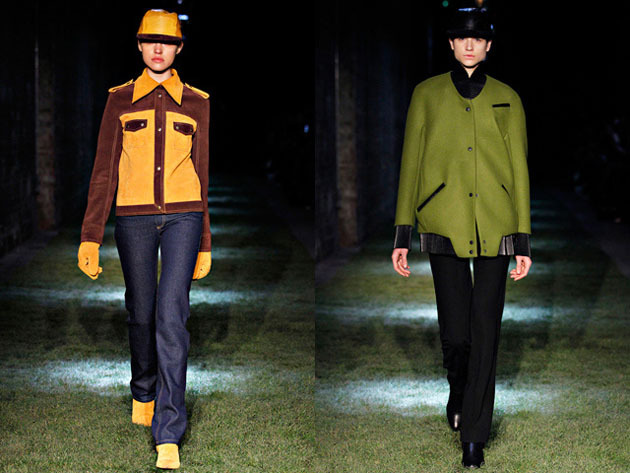 And whether you yourself partake in London fashion scene or not, Thomas Tait is most assuredly a name you will come across again.